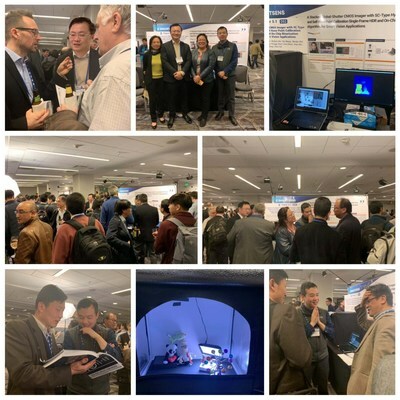 SAN JOSE, Calif., Feb. 28, 2019 /PRNewswire/ -- SmartSens, a leading supplier of high-performance CMOS image sensors, presented a research paper, "A Stacked Global-Shutter CMOS Imager with SC-Type Hybrid-GS Pixel and Self-Knee Point Calibration Single-Frame HDR and On-Chip Binarization Algorithm for Smart Vision Applications," at the 66th International Solid-State Circuits Conference (ISSCC) 2019 in San Francisco. 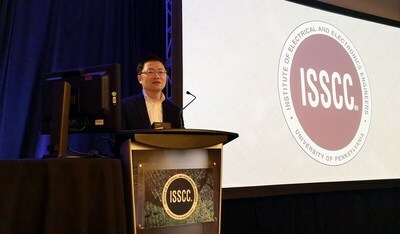 SmartSens CEO Dr. Richard Xu was the first presenter in the ISSCC's image sensor technology session which attracted over 200 attendees from leading organizations from the industry and academia. Known as the "integrated circuit Olympics," ISSCC is one of the most important global forum in the integrated circuit industry. "We are proud to be selected to present our paper at ISSCC. It's a tremendous honor for SmartSens as the committee recognizes our achievements in the field of CMOS image sensors," said Dr. Xu. "Behind this success is our commitment to developing cutting-edge image sensing technology and products for the emerging applications in the era of 5G, AI and machine vision." Currently, both 5G network and traditional security monitoring are accelerating toward an "intelligent" upgrade. In this paper, SmartSens debuts a new global shutter image sensor that the company has developed. This global shutter image sensor built on BSI technology has powerful performance advantages such as high sensitivity, low noise, high shutter efficiency, HDR with improved PRNU performance and self-knee point calibration. Also by integrating an image processor onto the same sensor chip using stacked technology, it paves the way for the smart sensor approach for machine vison and AI systems in the future. As a result, this sensor is most suitable for smart vision applications, such as face identification, machine vision, 3D imaging and AI. 2019 is slated to be the year of AI. SmartSens will continue to introduce innovative technologies and products for CMOS image sensors that meet the needs of emerging applications. SmartSens Technology is a leading supplier of high-performance CMOS imaging system worldwide. Our global teams are developing and shipping game-changing and market-leading products. Coupled with strong support from strategic partners and ISO-certified supply chain infrastructure, we have delivered innovative, customer-focused, award-winning and high-quality imaging solutions for security and surveillance, consumer, AR/VR, IoT, automotive, industrial automation and other mass-market applications. To date, chip shipments have exceeded 100 million units. For more information, please visit www.smartsenstech.com.